Packed with extreme knowledge and a whole load of enthusiasm, Dr Sylvies techniques, visually artistic eye, and her ability to transform your look is extraordinary. Her combination of non-invasive treatments makes Dr Bourree an absolute expert in aesthetic medicine, the vast amount of patients who she sees on weekly bast is just a measure to her success. 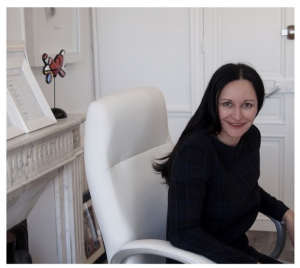 Dr Bounee is a visiting doctor in our Knightsbridge clinic and spends most of her time in Cannes, where she lives and runs her own aesthetic clinic. ln her free time, Dr Bouree attends many professional events, courses, and seminars, which keep her always on top of her profession. Dr. Bouree is an Aesthetic artist and has created a bespoke technique for remodeling and sculpting your face with injections, in a natural way. Book in for a consultation for this tailor-made service. Silhouette Soft@ is a technological innovation offering women and men what no treatment has provided in such a simple and minimally invasive way. A retightening reflect for any immediate and discreet result. Regenerative effect for gradual and natural-looking results. Silhouette Soft connects sagging in the face and neck using dissolvable sutures to lift sagging tissue in areas of the face including the brow, cheek, jawline, and neck. The sutures have moulded cones that stimulate the body to produce collagen around them inside the skin. The procedure is performed with local Anaesthetic and takes less than an hour.